In a Facebook group post a few weeks ago there was a huge and controversial post on baiting wildlife that got a lot of comments and also got a terse response and cut-off-of-discussion from the admin. Why he did not let the comments continue to its conclusion is beyond me, yet he chose to enforce the rules. Rules are rules I suppose, so the guy violating them did deserve to have the conversation halted. It was the most interesting thing in that group in a long time though, regrettably many of the images in this group have been arguably less quality than they used to be in past years. The admin said these discussions should happen elsewhere like on a blog or dedicated Facebook page. He attributed the discussion to being a personal attack. I didn’t view it that way. It was worth a discussion. Too bad FB groups and blogs don’t get these type of discussions going more often. I found myself changing the way I felt after reading through comments from so many around the world. What you find is it isn’t always black and white. 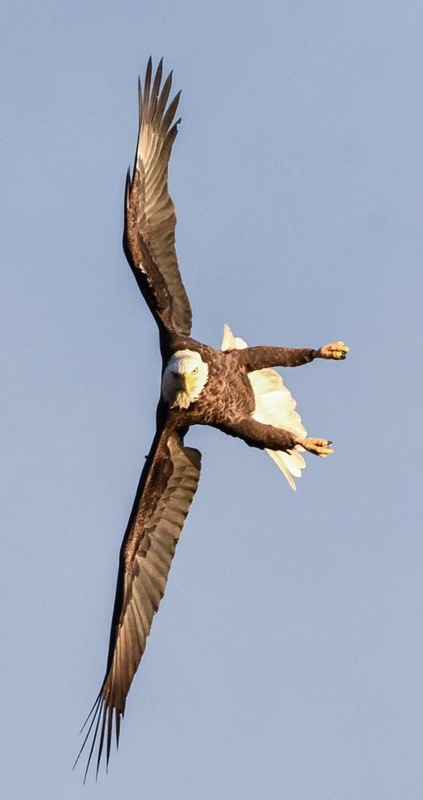 The world has a lot of grey… and grey it is with these Conowingo Dam eagles. 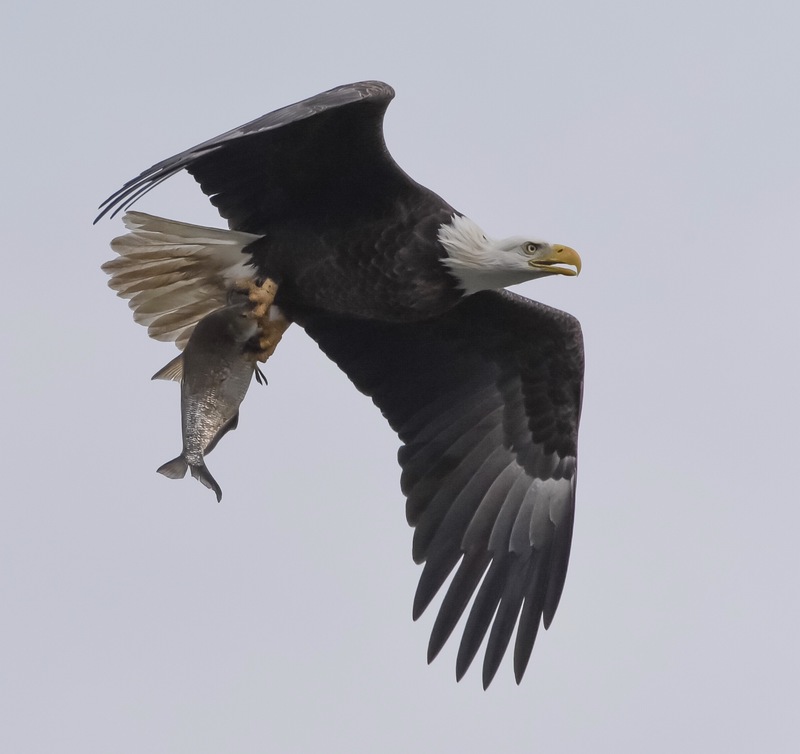 I categorize the eagles being baited since the Dam spits out fish all day long. The stunned fish were easy prey, hunting skills are not really needed. 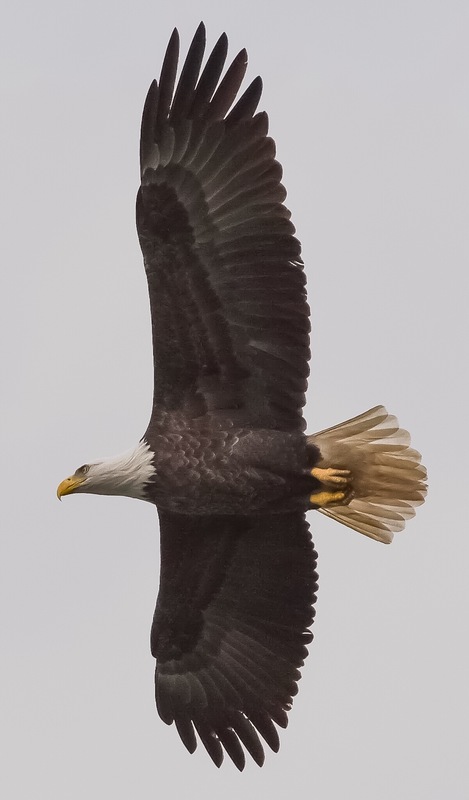 The resident eagles are habituated to humans and will come much closer than the eagles passing through. Being habituated to people is one of the baiting arguments, teaching the animal to associate humans with food. Another negative is changing feeding behavior like at the Dam. From an ethical standpoint, wildlife photographers frown on bringing the subject in close for that ‘award winning shot’. This is also why photographers visit the Dam. It is true, feeding wildlife within the boundaries of any U.S. national park and many State parks, or wildlife refuges are considered illegal. Signs are posted in Niagara Falls State Park too. They also argue, these “cheaters” are creating a false expectation of what authentic nature photography is like for the photographer. Like it is easy and subjects are readily available to perform for the camera. After reading through comments, I softened my view on this subject. I found so many hypocritical examples. I myself noted feeder birds and how in my area, hawks of many types visit my garden just for the steady supply of poultry in winter. I have my garden perfectly designed for the safety of the songbirds with many shelter plants, yet certain agile hawks still leave the garden a bloody mess in winter. Some raptors are tiny like a Kestrel, Merlin or falcon. 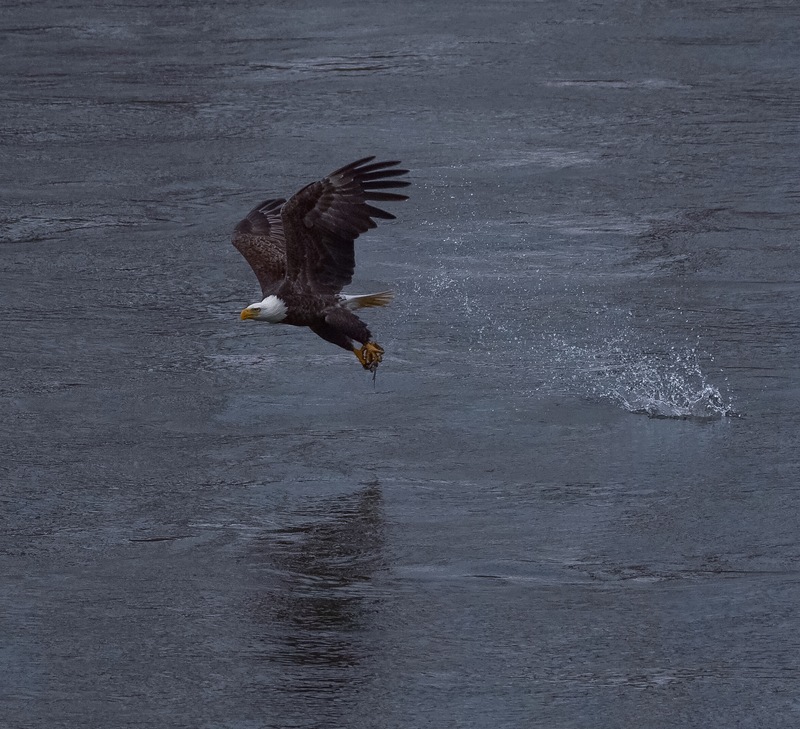 Living on the gorge, they fly right in. No amount of shelter plants keeps the songbirds safe from these flying rockets. 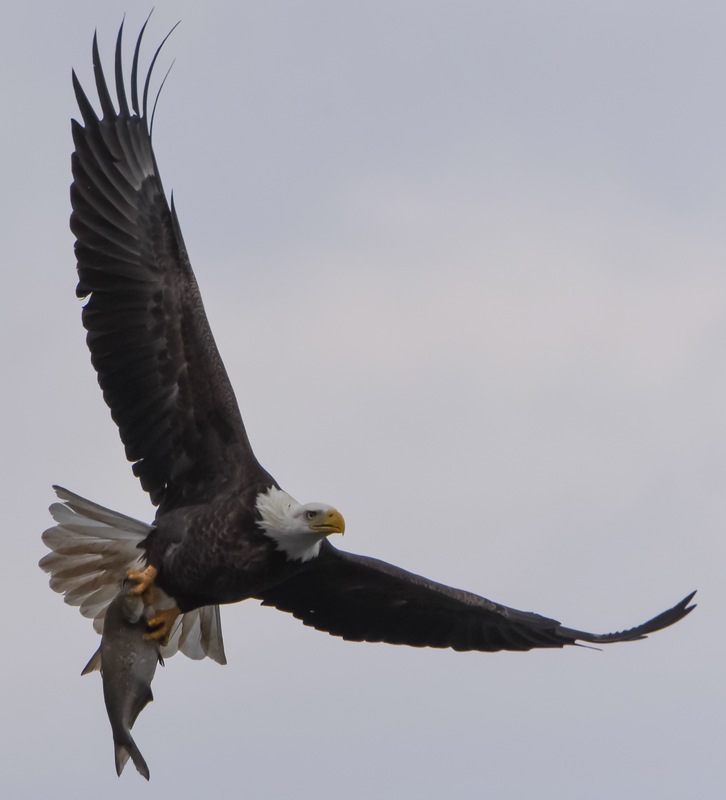 This entry was posted in Birds, Nature, Photography, Photos, Travel, wildlife and tagged baiting wildlife, Conowingo Bald Eagles, Conowingo Dam Bald Eagles, Facebook groups, Resident eagles at Conowingo Dam. Bookmark the permalink. Thanks Donna for an interesting discussion on the ethical aspects of wildlife photography and for sharing more of your beautiful shots. Thanks Ashley. It was an interesting discussion. The guy causing the uproar was baiting owls in the Netherlands. He was baiting carrion feeders and using roadkill. I did not see the harm in this, but the admin was really upset over it. Another guy from another country put fresh meat in an empty moose carcass for eagles. I kinda thought this was clever. Again, the admin shut down the comments. I now see what you mean, in each case no harm is being done, but simply attracting the birds. If this is a problem then maybe the posts where birders put out seed and bark butter to attract birds be included, but that would be ridiculous, but ethicality it is the same. If feeding keeps more birds alive it seems beneficial to me, particularly if the species is endangered or threatened. The photo taking is just an added bonus. I agree Emily. The guy baiting the owls also mentioned the owls were on the endangered list. His feeding the parents produced two clutches that year. He felt like he was saving these owls. He also mentioned places like where you live are so populated that habitat for these animals is in short supply. He mentioned places like in Canada, Russia and the US have huge expanses of native land, but not so in his country. I myself never baited any animal, except maybe the songbirds like I mentioned. But I am NOT baiting them for the hawks or photos. Nature is going to happen whether we feed songbirds or not. At least feeding them makes them healthier to escape being eaten. There’s a town park in Cheektowaga that I visited last winter. There are signs everywhere telling visitors not to feed the wildlife, but people largely ignore the signs. I was the beneficiary of this because the birds were flocking around a footbridge from the parking lot and I was getting some good shots. I was interrupted when a woman got out of her car and noisily added more seed on the railings of the footbridge, then had a long conversation with another visitor, telling her that she comes several times a week to take care of the birds. It gave me insight into the mindset of some people. People in Niagara Falls Parks ignore the signs too, except they don’t feed the ducks. They had a big duck die-off one year a while back and the signs went up. They fine for feeding ducks, but not the songbirds. It is funny too, the sign to not feed wildlife is were people feed the birds. An officer went by today and ignored the folks feeding birds. I go there like you did for images when the people get a lot of birds together by feeding. Also had the misfortune of photographers honing in on my shots as well as dogs running and scaring birds.